Warm days, cool breezes and falling leaves – Autumn is here! 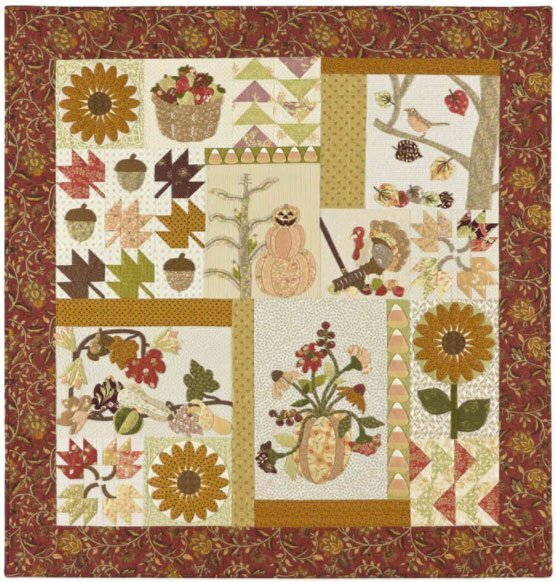 Set aside your rake and celebrate Harvest time, Halloween and Thanksgiving with this pieced and appliqued quilt. Spectacular sunflowers add joy to the bounty of Fall – my favorite season of the year!